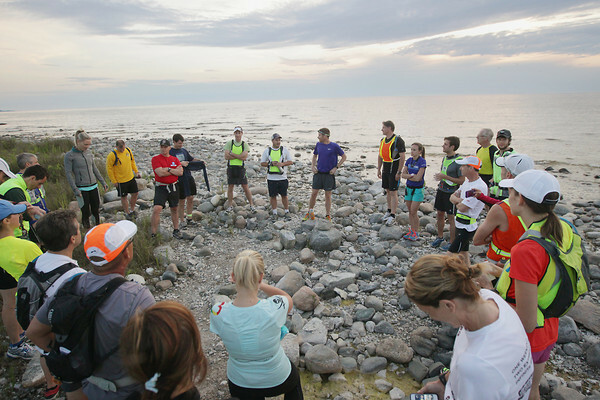 Runners meet at the Lake Michigan shoreline near the Grand Traverse Lighthouse in Leelanau Township Thursday, June 20, 2013 prior to the start of the Solstice Run, with collaboration by One the Ground and Endurance Evolution. The run starts at the lighthouse and continues for approximately 40 miles with the finish at the Traverse City Senior Center. Funds were raised ,as part of the event, for a library in Hase Gola, Ethiopia with funds raised expected to exceed $15,000.